Microsoft and Intel have announced the pre-sale of the mini-PC Sharks Cove for $ 300 (£ 669 in direct conversion). The plate arrives to the market to compete with the lowest computer in the world, the Raspberry Pi, which can be found at a much lower value: $ 55 (R $ 122). The main difference between the two models is the operating system. Unlike rival, Sharks Cove is licensed to run Windows 8.1, which may be the reason for the high price. This new card features quad-core 1.33 GHz Intel Atom, accompanied by 1GB of RAM and 16GB of storage which can be expanded with microSD card slot. Have a competitor in the category Raspberry Pi loses RAM in two versions: 256 MB in model A and up to 512 MB ​​in model B. Both accept SD or microSD cards, reaching the 32 GB or 64 GB. One feature that can weigh for fans of Microsoft is that the Raspberry adapter can only run Windows 7, older, and with restraint, only through a remote desktop called Citrix's XenDesktop. The advantages of the PC are your smaller existing open source and its possibility of being customizable. The Sharks Cove may also be connected to a monitor from MIPI or HDMI. 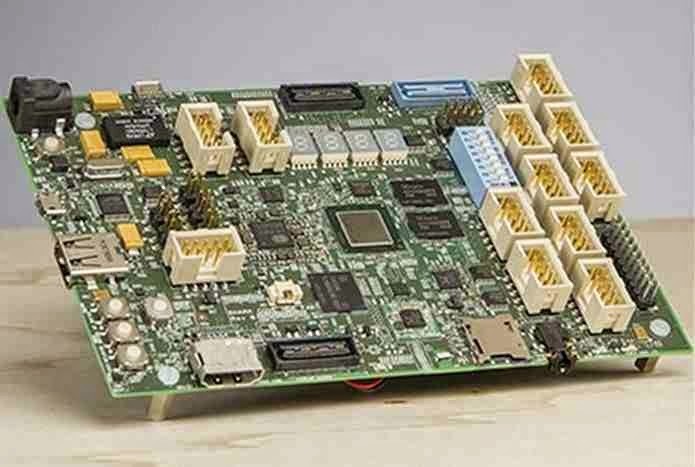 The board can also connect to the Internet through Ethernet architecture for local area networks, or by a device with Wi-Fi USB 2.0 port. The mini-PC was produced by the manufacturer CircuitCo, in partnership with Microsoft and Intel. The computer can be ordered on the website Mouser Electronics. For now, no product could steal the brand Raspberry Pi computer lowest in the world, with 8.5 cm wide by 5.6 cm high. The Sharks Cove is higher not only in price, as well as in size: 15.2 cm wide and 10.1 cm high. The mini PC from Microsoft and Intel does not win in portability, but features a more robust hardware and an operating system that pleases many users.